After submitting my first visa application all the way back in late May 2009, my immigration journey finally ended on Wednesday when I had my British citizenship ceremony in Stirling. What is hopefully my finally piece of immigration-related paperwork, my passport application, was mailed off Thursday morning. With that I should be finished with visa stuff for sometime. 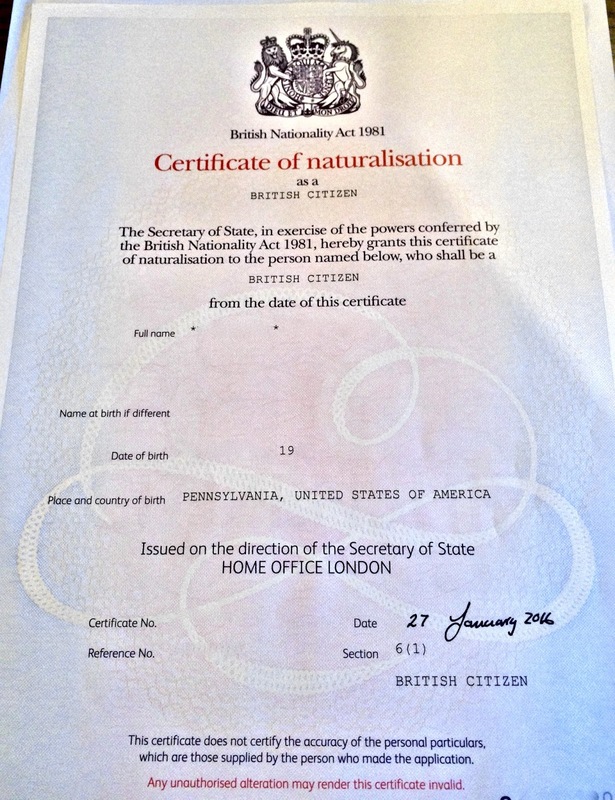 After applying for citizenship back in August via the Nationality Checking Service in Hamilton, South Lanarkshire and receiving word in December that my application was approved, the final step was attending a citizenship ceremony. While I would have preferred to have the ceremony in Glasgow, the Home Office assigned me to Stirling, and it was easiest to head there rather than deal with the bureaucracy of having my paperwork transferred from one council to another. The ceremony was held in Stirling’s municipal building near the corn exchange in the older part of town. I arrived around 30 minutes before the ceremony was scheduled to start and waited with the other participants and their family until we were taken to the room where the ceremony would take place. Once in the room, two women from the register’s office gave us some brief instruction on what would be taking place. Because all five of the other participants were also there early, there was some downtime while we waited for the various local dignitaries to arrive. The ceremony started with an assistant register from the council welcoming the participants and the various local dignitaries. A Deputy Lord Lieutenant for Stirlingshire and Falkirk spoke for a couple of minutes to welcome everyone as well. Then everyone who was saying the oath said it individually followed by everyone who was saying the affirmation. 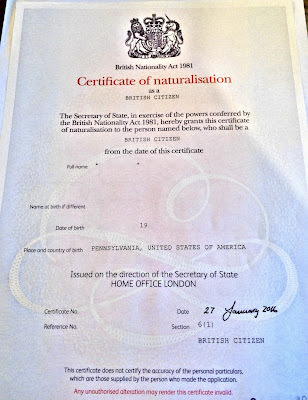 I (name) swear by Almighty God that on becoming a British citizen I will be faithful and bear true allegiance to Her Majesty Queen Elizabeth the Second, her Heirs and Successors, according to law. The Provost of Stirling now spoke. He talked about the local area and participating in the community. 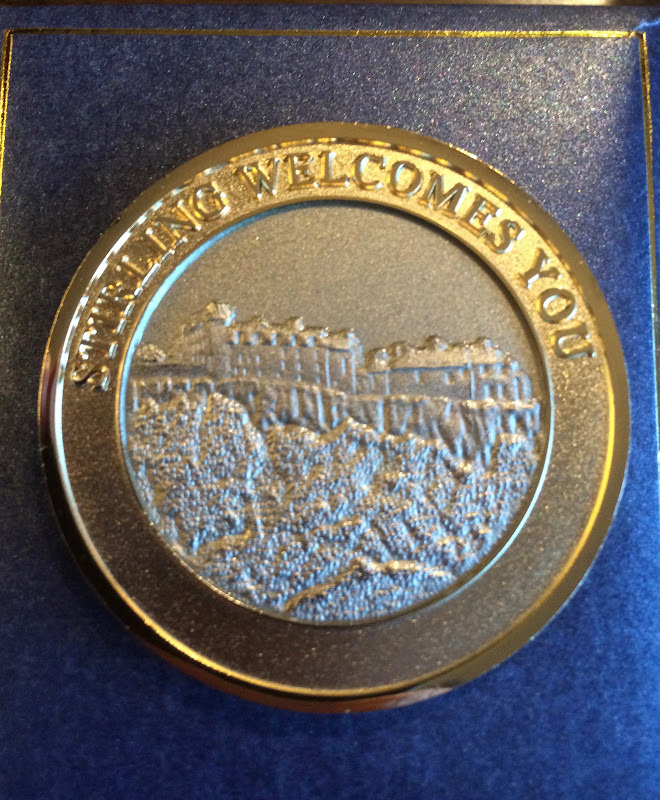 Following his speech, we were each called up, in order, to receive our naturalisation certificates and a nice coin, a gift from Stirling Council, from the Deputy Lieutenant and the Provost. Once the last person had collected her certificate, the national anthem, God Save the Queen, was played. That brought the ceremony to an end, and all that was left was to sign a register for the council's records and to head to a small reception.